Unless you wear cotton gloves 24/7, your hands are exposed to chilly temperatures, hot water and dry indoor heating. And that my friends, results in cracked cuticles and rough dry skin. Your hands need the same TLC as your face. Editor Trudi Brewer edits the latest luxurious products for a DIY mani. Celebrating one of our favourite movies - Grease, OPI have created a colourful collection to mark the film's 40th anniversary. There are 12 new, limited edition shades in Nail Lacquer, Infinite Shine, and GelColor formulas; our pick is this pretty, lilac pink. 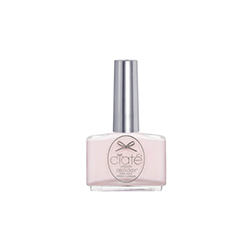 CIATÉ LONDON Gelology Nail Polish, in The Naked Truth, $26. Ciate's best selling crème nail shade recently re-formulated and we are impressed. With rich colour pigments, extreme shine and a long-wearing, gel-finish. You can expect 10 days from this polish. BY TERRY Baume De Rose Hand Cream, $74. It has a cult following with celebrities and models and now Baume De Rose; has turned out an ultra-luxe hand cream. Infused with nourishing rosehip oil, soft focus powders and corrective optic rose tinted prisms, it feels velvety smooth, and has an instant cosmetic effect, making my hands look 10 years younger #love. MECCA MAX Hot Tips Nail Polish in On The Rocks, $18. Colour is everything when it comes to a good mani and you can't beat the on-trend shades in the Mecca Max collection. There are 14 cute colours to choose from we love - this dove grey. SOAP & GLORY Melty Talented Dry Skin Balm, $10. For lips, cuticles and even frizzy end of your hair, this beauty balm is seriously hydrating and super kind on your skin. We also love the smell and vintage-inspired tin. Sally Hansen Vitamin E Nail and Cuticle Oil, $22. If you have weak, peeling nails the blend of wheat germ, apricot kernel and safflower oils blended with vitamin E help soften dry skin and boost nail growth. I apply this before bed. Happy Naturals Hand Cream, $7. There is one in my kitchen, one tube in the glovebox of my car and one in my handbag. Heavenly scented, completely natural and so soothing on dry hands. Love this cream, it's a great #cheekybeautybuy.